A popular team has dropped out of the next CWL event. This weekend’s Call of Duty World League event will be a little different than expected, as a team has pulled out just days before the tournament. Defending CWL Dallas Open champions Team Kaliber will not be attending this weekend’s CWL Northern Arena Showdown due to a player having a personal issue, according to the organization. 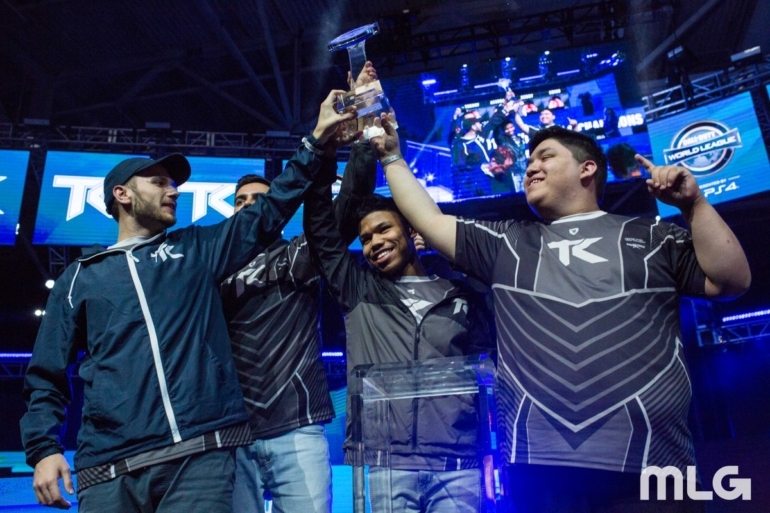 Kaliber is coming off their first major event title at the $200,000 CWL Dallas Open this past weekend. And they were looking to add another trophy to their collection with a win at the eight-team invitational in Montreal, Quebec. But the worry that Kaliber would either not be attending or would be playing with a substitute started earlier today after Kenny Williams tweeted about teammate Lamar “Accuracy” Abedi possibly having some family issues. Following the announcement from the Kaliber Twitter account that the team would not be attending the event, Martin Chino revealed via a tweet that he was the one with the personal issue. Whether there will be another team invited in place of Kaliber, or if the event will take place with the other seven invited teams, is unknown at this time. If there is a replacement team, it will likely either be Next Threat or Rise Nation, two of the highest-placing NA teams not attending the event. And either way, missing the invitational is not a very big deal for Kaliber in terms of pro points. With their win at Dallas, the team has already clinched the first seed in North America for the next CWL open event, the CWL New Orleans Open, which kicks off on Jan. 12.